Lufthansa provides an iOS app that is compatible with iPhone, iPod, and iPad. Also, if you're a member of Lufthansa Miles & More, you can manage your profile, view your points balance, and more. As the most popular mobile platform in the world, Lufthansa has taken notice of Android and provided an app for most Android devices. 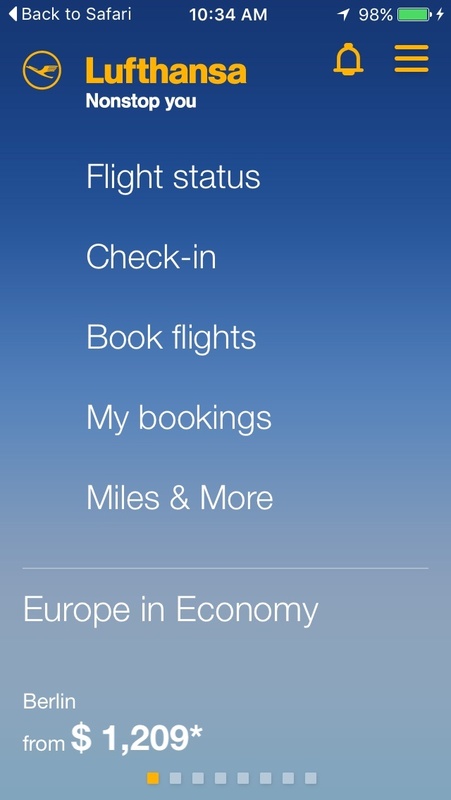 Perhaps standard practice these days, the Android app offers the same functionality as the iOS app from Lufthansa. As an alternative to mobile apps, check out the website of Lufthansa by clicking right here.